The BettaStone veneer panel system gets applied by fastening the panels with clips to OSB or plywood and is durable in any weather condition. BettaStone’s competitive edge is that it has a one of a kind design product in British Columbia and produced in 16 different colours. The panels are also cost effective to transport over long distances due to its light weight. Homeowners are challenged to fit rock into their homes when it has to be applied with lath, scratch-coat and mud. A lot of expertise is required. The BettaStone veneer panel system makes it user friendly to install and offers a clean environment with little to no clean up. We offer our services to both Residential & Commercial clients and maintain the highest standard of service and expertise for both Renovations & New Construction. 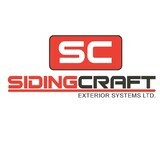 We at SidingCraft Exteriors insist on offering the best quality products available and have done extensive research to find the best available manufacturers and installation techniques most suited for our West Coast Region. 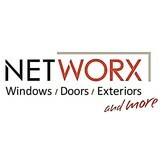 Since Networx started in 1999, our goal to provide our customers with amazing products for their specific needs, and with unparalleled services and lifetime warranties - has made us worth talking about. Confidence in the home improvement and construction industry is an underlying issue that we’ve really taken to heart. That’s why our aim is to make all aspects of our business completely customer focused. It’s the way we earn business, operate on a day-to-day basis, and thrive as a company. We are looking forward to serving you in the future! All Around Contracting is located in beautiful Langley British Columbia. We currently service all of the lower mainland, & Vancouver Island including city's as far as Whistler, & Kamloops. Our focus is simple, to give our clients, the best value for the money they spend. When it comes to: Quality, Safety, Reliability, Budget, Communication or getting the jobs done on time. 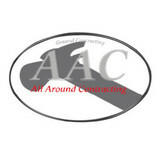 We at All Around Contracting will do just that. We are constantly practicing these business values in all aspects of our projects, no matter the size of the job. We treat every project just as important as the next, and guarantee your happiness. 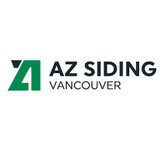 AZ Siding Inc. is your reliable contractor for exceptional quality exterior finishing and renovation services in the Greater Vancouver area. We believe that every residential or commercial project we work on deserves the highest level of service. Through our attention to detail and quality workmanship, we’ve been helping people update the exterior of their homes and buildings. Whether you’re on the hunt for siding to add aesthetic beauty to your home, or a painting service that seamlessly blends with your project, we can help. We’ve built our business around the needs and desires of our customers. Our professionals have attained a lot of experience and expertise in a variety of siding installation, soffit installation, rainscreen, woodworking, finishing, custom flashing, and other exterior finishing projects. We install siding professionally and do it with a level of attention that can’t be matched. Our installers regularly attend training sessions to keep up-to-date on all installation procedures, materials, and products to be used. We always think about the quality of materials, not just the cost and consider your personal concern when choosing them. And, with us, our customers have a complete peace of mind that their sliding needs are being handled by an expert team of professional installers. Give your home an updated look and make it energy-efficient with the quality materials we use! We welcome you to browse our site and check out our exterior work projects. Specializing in Architectural Exterior Cladding and Soffit. 8 Diamonds – Siding Specialists team who takes care of Greater Vancouver We are an established construction company with more that 20 years of experience renovating and building new residential houses and commercial structures around Vancouver. Our siding specialists offer quality service, delivering the best job possible. Altium Building is a leading fabricator, supplier and installer of quality architectural wall and roofing systems. We provide owners, architects, building consultants, designers and developers with the smart alternative to conventional residential, institutional, commercial and agricultural building envelope solutions, offering a personalized design – build approach. There is a growing list of reasons for the expanding use of metal in residential construction. Leading the list is the tremendous variety of exciting shapes and colors that today's product offers. In addition to these aesthetic advantages, modern metal residential roofing is easily installed and offers longevity, energy savings and exceptional durability, even under extreme weather conditions. Below are some common questions and answers regarding the use of metal in residential construction. Exterior Worx is Vancouver BC's premiere siding contractor. We work with top luxury home builders and home owner's alike to make their dreams and vision a reality. We specialize in siding and exterior finishing installations using cedar and wood siding and shakes, fiber cement products (Hardie, Allura, Swiss Pearl), vinyl siding and many more. We also handle all types of soffits installation. High quality work at competitive prices makes us Vancouver's best value. FREE QUOTES, CALL NOW! Exterior Finishing company Specializing in modern finishes and superior envelope and waterproofing. Accent Siding is a Vancouver based company operating in Calgary Alberta. By utilizing building practices from Vancouver we are abel to provide Calgarians with Exterior finishes that exceed standard building code. What types of siding services do Delta exterior contractors provide? Wood siding needs more maintenance than less-expensive, low-maintenance vinyl siding, but with proper care it will outlast vinyl siding, which can fade and crack over time. Your Delta, BC contractor might also suggest fiber cement siding, which is fire resistant and termite-proof and can come with a warranty of up to 50 years. Find siding and exterior contractors in Delta, BC on Houzz. Narrow your search in the Professionals section to Delta, BC siding and exterior contractors. Find out how long a Delta, BC exterior remodeling contractor has been in business, view portfolios, read reviews and get contact information.